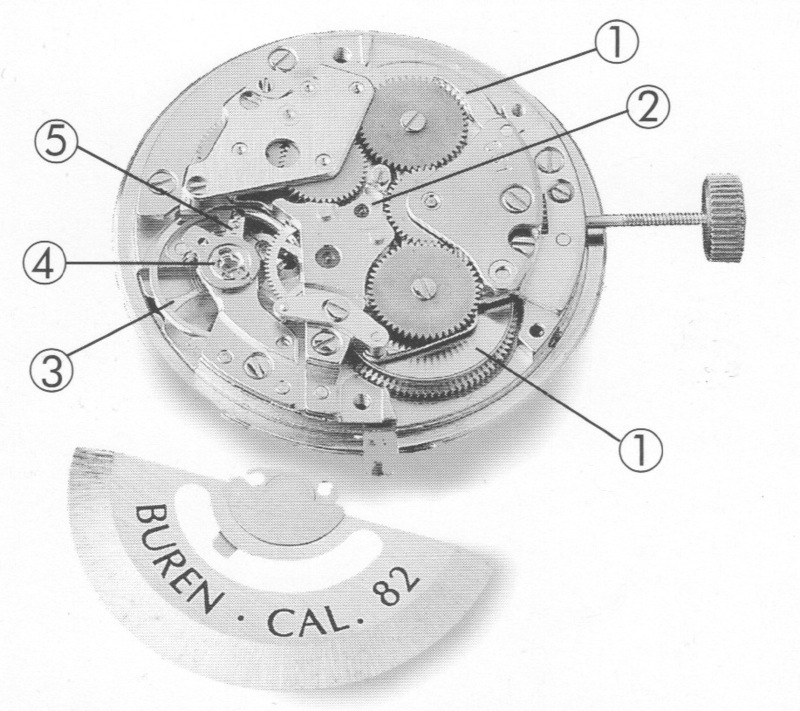 Welcome to my page covering the Buren Calibre 82, a historic 1970 movement cased in 1998 by Schweizer Uhren-Editionen. I have collected my documentation here as a reference to other owners, and watch enthusiasts interested in the brand. 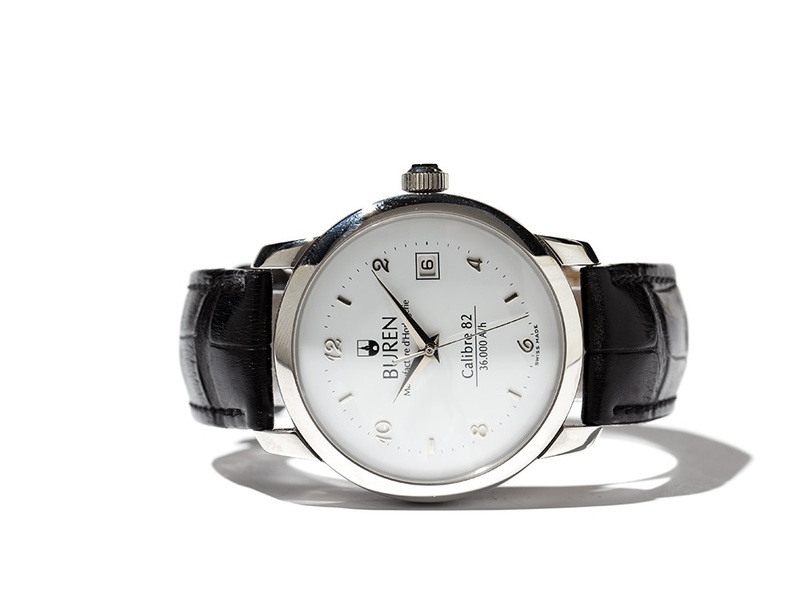 If you have a Buren Calibre 82, please contact me! I would love to set up an owners registry or correspond with you regarding this unusual watch. There are only 239 in existence, so it would be remarkable indeed if even two of them ever found each other! 1 Two barrels. 2 Minute wheel. 3 Oscillating system. 4 Kif shock protection. 5 Fine adjustment. This page contains the original documentation that came with my Buren Calibre 82 wristwatch, along with English translations of the original German text.